The government has today unveiled long-awaited changes to the UK's renewable energy subsidy regime, proposing new support levels for a raft of clean energy technologies, and setting out plans on how it aims to reduce subsidies over time. 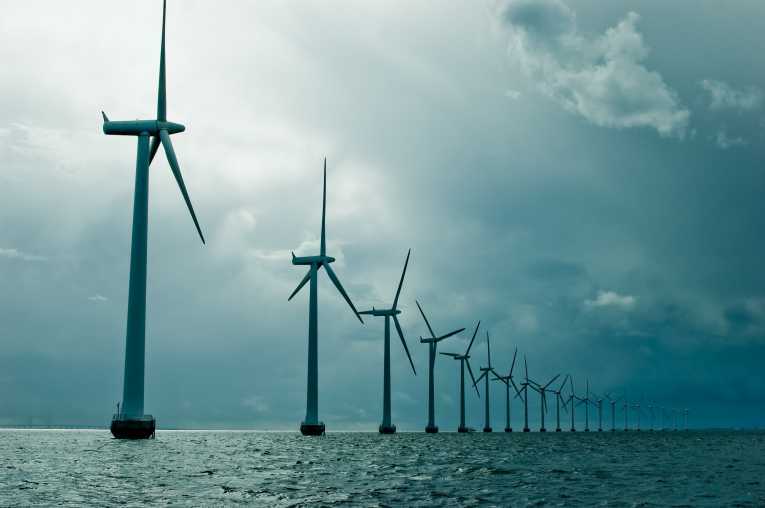 As anticipated, marine and offshore wind energy emerged as the big winners from the proposed changes to the Renewables Obligation Certificate (ROC) scheme, which will now be put out for consultation. Meanwhile, other sectors such as geothermal, biomass and onshore wind farms faced relatively minor reforms, prompting renewable energy groups to declare themselves happy with the "broad thrust of the proposals". Deputy Prime Minister Nick Clegg said the changes, which will apply from 2013 through to 2014, underlined the government's commitment to driving investment in the UK's renewable energy industry. "Investing in green energy boosts growth and creates jobs – the offshore wind sector alone could provide up to 66,000 jobs in this country by 2020," he said. "Supporting clean, green, secure energy is the right thing to do for both the environment and the economy." His comments were echoed by Chris Huhne, Energy and Climate Change Secretary, who predicted that the reforms would help make the UK an attractive venue for low carbon investment at the same time as minimising the impact of renewable energy subsidies on energy bill-payers. "Our ambitions for these technologies reflect our desire for the UK to be the number one place to invest," he said. "We have studied how much subsidy different technologies need. Where new technologies desperately need help to reach the market, such as wave and tidal, we're increasing support. But where market costs have come down or will come down, we're reducing the subsidy." The review proposes a significant increase in the number of tradeable ROCs awarded to wave and tidal energy projects from 2 ROCs/MWh currently to 5 ROCs/MWh for all projects with up to 30MW of capacity. The new support levels had been called for by the marine energy industry and are expected to make many of the marine energy projects currently in the pipeline economically viable. However, tidal barrage projects, such as the shelved Severn Barrage development, will continue to be offered just 2 ROCs/MWh. The offshore wind industry is also likely to be celebrating after the government confirmed it wants to slow the rate at which subsidies for the sector are reduced. Under the current regime, offshore wind farms were to be awarded 2 ROCs/MWh through to 2013/14, falling to 1.5 ROCs/MWh from 2014/15. However, the new proposals instead call for the level of support to remain at 2 ROCs/MWh until 2014/15 before being cut to 1.9 ROCs/MWh in 2015/16 and 1.8 ROCs/MWh in 2016/17, effectively guaranteeing higher levels of support for the next generation of Round 3 offshore wind farms that is due to come online between 2015 and 2018. Significantly, the consultation proposes confirmed rates of degression for many of the technologies covered by the ROC scheme detailing how the level of support will reduce over time as the cost of renewable energy technologies fall. For example, the government is proposing that anaerobic digestion projects receive 2 ROCs in 2013/14 and 2014/15, 1.9 ROCS in 2015/16 and 1.8 ROCs in 2016/17. The move is likely to be welcomed by low carbon investors who have long argued that clarity over the future level of subsidies will make it far easier for them to plan investments. "Renewables costs in the main are coming down, so [the degression pathway] does make sense," said Gaynor Hartnell, chief executive of the Renewable Energy Association. "Investment stability and certainty is crucial, and is key to enabling the UK to meet its targets and for renewables to contribute to economic green growth, job creation and exports." However, while the marine and offshore wind industries will be celebrating, a number of other sectors are facing more controversial cuts that are likely to force developers to rethink future projects. Most notably, the bulk of the subsidies on offer to waste-to-energy projects are being reduced, while only relatively minor changes are being proposed for biomass power plants despite calls from the industry for an increase in support. Similarly, the consultation proposes a cut in the level of ROCs available for onshore wind farms from 1 ROC/MWh currently to 0.9 ROCs/MWh from 2013 – a reduction that trade association RenewableUK has warned could make smaller community-scale wind farms unviable. The UK's emerging geothermal energy sector is also likely to be left disappointed after the review proposed reducing support from 2 ROCs to 1.8 ROCs by 2016. Moreover, Huhne declined to offer reassurance to solar firms today following reports the government was planning to impose deep cuts on feed-in tariff incentives, stating only that the imminent feed-in tariff review would be launched in due course. Figures from DECC suggested that, when compared with the current regime, the changes would reduce the cost of the scheme by between £400m and £1.3bn, meaning the impact of ROCs on average household energy bills by 2016 will fall from £52 a year to £50 a year.